Another great general, born in 1857, was also born on February 22. 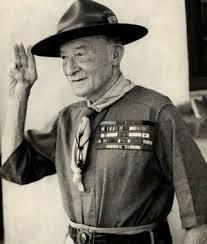 Robert Stephenson Smyth Baden-Powell, 1st Baron Baden-Powell, OM, GCMG, GCVO, KCB, affectionately known to Scouts world-wide as B-P or Lord Baden-Powell, was a lieutenant-general in the British Army, writer, founder of the Scout Movement and first Chief Scout of The Boy Scouts Association. Lord Baden-Powell served in the British Army from 1876 until 1910 in India and Africa, and was a British national hero. In 1899, during the Second Boer War in South Africa, Baden-Powell successfully defended the town in the Siege of Mafeking. Several of his military books, written for military reconnaissance and military scout training in his African years, were also read by boys. Based on those earlier books, he wrote Scouting for Boys, published in 1908 by Sir Arthur Pearson, for youth readership. In 1907, he held the first Brownsea Island Scout camp, the birth of the phenomenon known today as the worldwide Scouting Movement which now boasts 30 million Scouts in 161 countries. Until his death in 1941, he worked tirelessly to support the world Scout movement. Today, more than a century and a half since his birth, that indelible imprint has grown exponentially. After meeting with Lord Baden-Powell, Chicago publisher William D Boyce, with woodsman Daniel Carter Beard, and naturalist Ernest Thompson Seton formed and incorporated the Boy Scouts of America. James E West would join the Boy Scouts of America in 1911, as the first Chief Scout Executive. 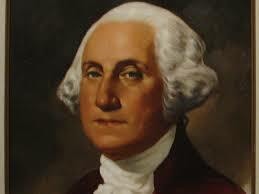 How can you celebrate Founder’s Day? Read B-P’s last letter to Scouts, which he intended to be shared after his death. Mark your calendars! Summer camp dates have been set! Troop 501 will be attending the Pony Express Council’s Camp Geiger, in Saint Joseph, Missouri July 13-19. Some of the highlights of Camp Geiger include an award-winning NRA Shooting Range for Rifle, Shotgun, and Archery, complete with National Shooting Competitions. Senior campers (think Smokies) will also have the opportunity to throw knives, hatchets, tomahawks, and shoot black powder rifles. Younger campers (think first year Scouts) will have a special program to help them work through Scouting Skills essential to obtaining First Class… Swimming is done in a pool – Mile Swim practices on Monday and Tuesday morning, with the Mile Swim, itself, on Wednesday Morning. Dining is done in a hall (we’ve heard fantastic things about this Camp’s food)… Then, there’s the Tribe of Mic-O-Say… Scouts who are of Advanced rank (Star and above), as well as leaders, who have attended at least two summer camp sessions, previously (this will be their third), may qualify for tapping into the Tribe. Membership is granted by the Tribal Council. No troop elections are held. Those who would ordinarily qualify for election into the Order of the Arrow, will still be eligible. 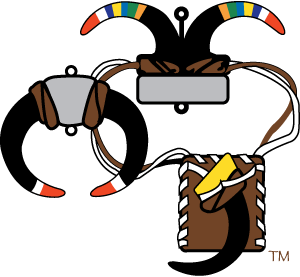 NOW is the time to check the Troop 501 Advancement System, to ensure that your information is CORRECT, and Up-To-Date… More information will be posted, shortly. The registration fee for summer camp, this year, is $302 for Scouts registered by April 1, 2014, and $178 for leaders registered by April 1, 2014. Additional, nominal, program and transportation fees will be noted in the materials, as it becomes available, and is posted. By Bryan Wendell, Eagle Scout, senior editor of Scouting and Eagles’ Call magazines. The speedy sport of luge has been in Tucker West’s blood since age 6 when his dad built a track in the backyard for Tucker and his fellow Cub Scouts to race on. Scouting’s been in Tucker’s blood even longer. Tucker West is the great-great-grandson of James E. West, the Boy Scouts of America’s first Chief Scout Executive. That link to one of the BSA’s pioneers gives us a great reason to cheer on the 18-year-old as he becomes the youngest-ever member of the U.S. Olympic luge team and prepares to compete in Sochi, Russia. Tucker will race four times: 9:30 a.m. and 11:30 a.m. today (Feb. 8) and 9:30 a.m. and 11:30 a.m. Sunday (Feb. 9) — all times Eastern. You should be able to watch most races live online, provided you authenticate your cable or satellite subscription on the NBC Olympics website. I find it an appropriate coincidence that two of Tucker’s races will be on the BSA’s 104th birthday; Scouting was founded on Feb. 8, 1910. Tucker’s on the right in the photo above, and he seems to have that medal-winning pose down. Let’s hope we see him strike a similar pose on the podium in Sochi. Read more about the backyard luge track — and what happened when Connecticut State Amusement inspectors heard about it — in this nice Hartford Courant story. And watch the Today Show on Sunday morning for a story on Tucker and his dad, Brett. But most importantly, join me in cheering on Tucker as he flies down the track at 80 miles per hour, carrying both U.S Olympic and Scouting history with him.